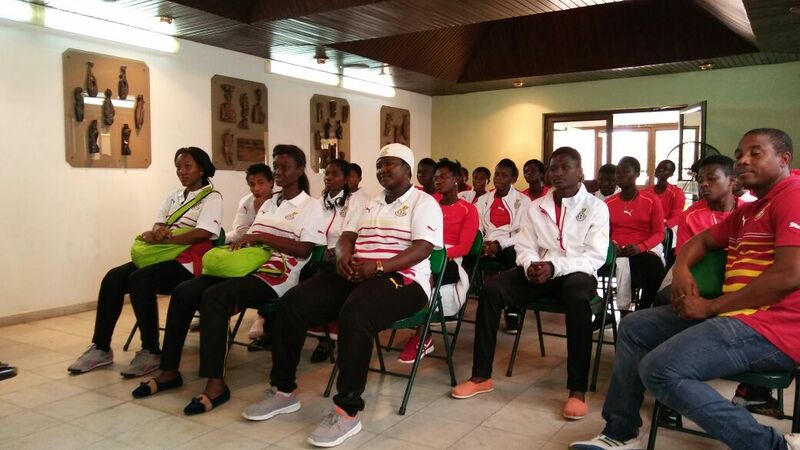 The Black Maidens have landed in the Ghanaian capital, Accra, after their brave display at the ongoing FIFA U17 Women’s World Cup finals. The Black Maidens arrived Saturday after their impressive campaign at the 2016 FIFA Women’s World Cup finals where they suffered a heartbreak 1-2 loss against Korea DPR at the quarter-finalists. The team narrowly missed out on a semi-final slot after conceding an injury-time goal to lose 1-2 to the Koreans. Ghana FA Executive Committee duo Nana Banyin Eyison and Leanier Addy met the team on arrival. ”You raised the flag of Ghana high at the tournament … it was just unfortunate … we lost, with just (a) few minutes to the end of the game against Korea,’’ said Eyison. The Black Maidens lost their opening Group match 5-0 to Japan but recovered to beat the USA 2-1 and defeated Paraguay 1-0 in their last group match to reach the last eight.